Going out with a bang? There's been a lot of talk about the Call of Duty series on Wii over the years, even though the only title missing from the console since launch is Call of Duty: Modern Warfare 2. History won't be repeating itself though, as Activision has confirmed in an investor call that Call of Duty: Modern Warfare 3 is coming to Wii. Nothing else was given away about the game so expect another Call of Duty: Black Ops situation, where even until launch next-to nothing was known about the Wii version. Hopefully Activision can handle its PR a little better this time. Are you willing to jump into battle with your Wii Remote one more time? Im hoping that its coming to DS though. I have heard somewhere that it is not coming to 3DS. If not I suspect that N-Space is busy with heroes of ruin. Oh well wii Black Ops seemed to be a rather faithful port of the HD versions so im sure this will be allright. as long as they dont insult pc gamers by calling it the "reflex edition" then sure. If this happens I won't buy a ps3 for another year or two. to be honest, there are too many games I want for wii from now until christmas, so this is number 6- 7 on the list, after my other first picks. zelda, xenoblade, kirby, mystery case, grinder, m party 9, then maybe this. Thats my opinion but there are some who like for this kind of stuff all the bloomin time! Still waiting for Black Ops to drop in price since i will most likely never use its multiplayer mode. But it's nice they're still bringing these games to the Wii. Hope it will at least turn out as well as the recent versions. And the graphics are going to be AWESOME! Haha! I'm a bit surprised to see this. If I grab it (I'll wait and see what they do with it) it'll be on PC. At least Wii only owners were spared of the crappyness of MW2's single player campaign. I will rent this one. From what I have seen of the game, it looks more like COD MW 2.5. There don't seem to be many improvements in gameplay or graphics. Of course, the footage was probably PS3 or Xbox, so the Wii version could be better. I will be sticking to Battlefield yet again. If they do the port as good as they did black ops ill be happy. i want co op campaign though so i could play it with my girlfriend. Grinder is probably never coming out now. There hasn't been news of the Wii version for over a year, and High Voltage apparently still can't find a publisher (go with Sega, duh). Oh and there's the big news that the Wii is pretty much dying, and the Wii U will replace it next year. So IF the game is still being made, it may just come out on Wii U.
I just checked Wikipedia, and The Grinder is coming out this October 2011, and will be published by Warner Bros. When did this happen? I was hoping for a late port like Arkham City for Wii U but this will work too. It's still nice to see a decently high-profile third party release on the Wii. It's only coming to Wii because CoD has a new developer. Body Odour was pretty good on the Wii with Zombies, better online, voice chat etc.have to see what happens with this one. However it doesn't seem the devs are taking ideas from the fans. Treyarch did this with Black Ops last year, only reason it got cash to get new weapons, camo's etc. and even the RC-XD was a fan inspired idea. I have a Wii and PS3, and highly prefer my Wii EXCEPT for COD games. The Wii versions aren't even in the same league. Call of Duty is awful. Theres nothing to the game but killing a bunch of Muslims or whatever the gooseberries that game is about. If a wanna game with guns that is any good, I'll go with Resident Evil or TF2. I really hope the end is near for this plantain of a series. With any luck, Battlefield 3 will smash MW3 and the wii port will never happen. 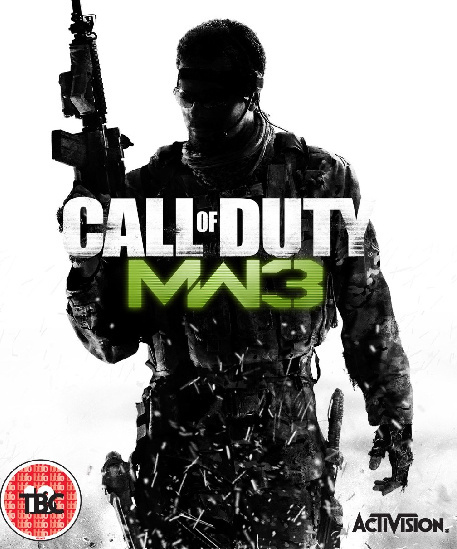 SCREW MW3!! What about the DLC they promised they were gonna give us on Black Ops! If you have B.O. on the Wii then you know exactly what I'm talking about with that ONE zombie map and NO word for 5 MONTHS! Unless a crap load of FREE DLC comes out for Black Ops on the Wii soon or that crap load of FREE DLC comes out on MW3 for Wii they might as well forget about getting another dollar out of me and YOU SHOULD DO THE SAME!! Seriously if you weren't happy with Black Ops Wii don't be a moron and buy a 360 then buy their game TWICE!! Don't even get MW3 right away on Wii wait until the reviews come out! Lastly SPEAK UP don't let them treat YOU & ME like garbage cause we pay full price for this game like everybody else so we deserve to be treated like everyone else!! I think they've done a pretty good job so far I'd buy it.